I have been a wildlife and travel photographer using Canon equipment for about 25 years now. 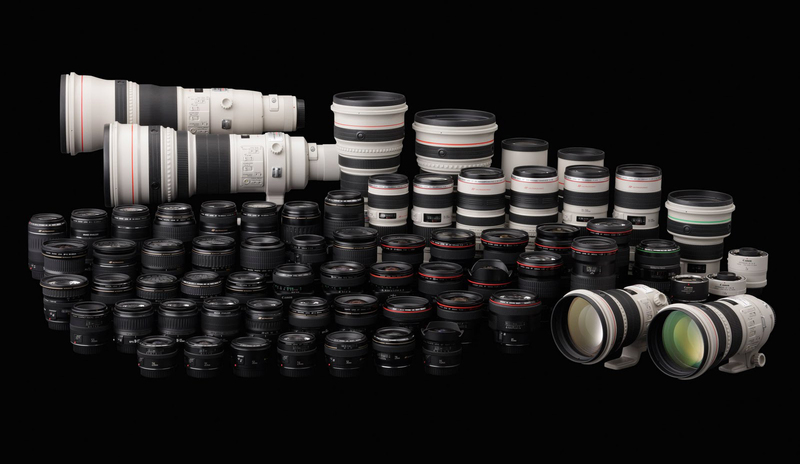 Through the decades, I have used almost all of Canon's cropped and full frame cameras and their EF and EF-S lenses. Spring is finally here and many photographers are gearing up to go out to their favorite spots and start clicking up a storm. As some of you may know, my preference is to travel light on photo shoots and generally carry zoom instead of prime lens. There is a never ending debate on the image quality of professional prime vs. zoom lens but for my purposes, the difference is without a distinction and I will let the situation dictates the lens instead of the other way round. The following lenses are some of my recommendation, derived from years of experience out in the field on photo shoots. These are my personal opinion and will not accommodate every situation or photographer's needs. If price is a consideration, do not hesitate to consider buying Canon refurbished equipment. I have done it many times for my backup equipment and have been completely satisfied. Read my blog post on buying refurbished and used equipment here. Canon EF 24-105mm f/4L IS - A great value and all round lens for travel, landscape and wildlife photography. This lens is always on my EOS-1D X or EOS-1D Mk IV cameras when I take travel or closeup wildlife shots. It offers excellent built and image quality at a reasonable price. The focal lengths and speed are ideal for indoor and outdoor shooting conditions although the IS offers only a 2 stop advantage. I would love to see Canon bring out a Series II version with the latest coatings and a 4 stop IS system. Canon EF 16-35mm f/2.8L II - This lens is great for wide angle landscape shots on full frame cameras like the 1Ds Mk III or EOS-5D Mk III. It also serves as a versatile travel lens on the EOS-1D Mk IV as well. Very sharp and fast. Can be used indoors when flash photography is prohibited. Adding IS to this lens would be a nice addition but that would add additional weight. If price is a consideration, then I would recommend the Canon EF 17-40mm f/4L lens. Canon has introduced the EF 16-35mm f/4L IS lens recently. I am interested in testing this glass and see if it can find a home in my equipment bag. Canon EF-S 17-55mm f/2.8 IS - This is my favorite EF-S lens and will go great with the EOS-7D camera as a general purpose lens. Not an inexpensive lens but the built and image quality is first rate and the constant aperture across the zoom range is great for capturing images in low light conditions. Canon EF 8-15mm f/4L Fisheye - With its unique focal length range, this lens is the widest fisheye zoom lens available on the market. It delivers 180° diagonal angle of view images for all EOS SLR cameras with imaging formats ranging from full-frame to APS-C, and provides 180° circular fisheye images for full-frame EOS models. I use this lens to photograph whales and other marine animals when I am in the water. To do it professionally, I use my EOS-1D Mk IV camera with the lens and the AquaTech underwater housing, topped with a dome lens port for maximum angle of view. On land, this super wide angle lens will capture stunning nature photos and stimulate creativity. Canon EF 70-200mm f/2.8L IS II - Super sharp and fast lens for close up wildlife action, providing up to 4 stops of correction and fixed aperture at all focal lengths. I have used this lens for years and the latest version is the best yet. An excellent lens for closeup, low light travel and wildlife photography and works well with both the 1.4X and 2.0X extenders. Very solidly built and stands up to heavy duty field use. If price is a consideration, then purchase the Canon EF 70-200mm f/4L lens. Canon EF 70-300mm f/4-5.6L IS - I held off buying this lens for a while because the EF 70-300mm DO was such a disappointment for me. The extra reach and lighter weight ( compared to the EF 70-200mm f/2.8L IS II ) of this lens comes in handy when I am photographing larger wildlife in decent light. Excellent 4 stop IS compensation. Another great lens for cetacean and wildlife photo shoots. The drawbacks are extenders cannot be used on this lens and it does not come with a zoom ring. Canon EF 100-400mm f/4.5-5.6L IS - A 'light weight', all round wildlife lens with an excellent IQ and built quality. It uses a push - pull design to get from 100mm to 400mm. I am not a fan of this kind of setup because the lens is susceptible to dust getting inside the tube. Although not a fast lens, its versatility more than offsets the shortcoming but the design is getting old. Excellent for wildlife and whale photography. Image quality is decent with the 1.4X extender on EOS-1D bodies. Rumor has it Canon will come out with the EF 100-400mm f/4-5.6L IS II as a replacement later this year. Read my blog post on this topic. Canon EF 28-300mm f/3.5-5.6L IS - There are situations when I am restricted to just one lens or it is impractical to change lens in the middle of a shoot, then I reach for the EF 28-300mm. This versatile 10X+ zoom lens has very good optical performance and can focus down to less than two and a half feet over the entire focal length. One can use this as an emergency macro lens, especially when used with the APS-C camera. This is a great wildlife lens especially in Hawaii. I call this my 'Maui lens' because the Humpback whales can approach to just a few feet from my zodiac and this lens will capture the image with little problem, even on APS-C cameras. The drawback is the weight, at 3.7 pounds and handholding this lens with a EOS-1 body can be tiring after a while. Canon EF 300mm f/4L IS - Another superb, handholdable wildlife lens. Unless speed is paramount, I prefer this lens over the EF 300mm f/2.8L II IS because it gives up a very small difference in sharpness at about half the weight and a fraction of the price. The lens works well with the 1.4X extender. In an emergency, the 2.0X extender can work as well with the EOS-1D bodies but the image quality is not great. Excellent image quality plus mobility, a great value and the built-in lens hood is really nice. Canon EF 400mm f/4 DO IS - This is my favorite Canon lens for wildlife photography. Although not the sharpest in Canon's lineup, the weight, speed and performance combination is hard to beat for a full day's photo shoot without a tripod. I have taken most of my bird-in-flight shots with this amazingly under-rated lens. The lens performs well with the 1.4X and 2.0X extenders. When used with the 1D MK IV, I can shoot at 1000mm focal length handholding the combo. This gives me unmatched mobility and reach. A Series II version of this lens with the latest coatings and a 4 stop IS system would be most welcomed. Read my latest post on this topic. Canon EF 400mm f/5.6L - Another one of my favorite Canon lens for wildlife photography. Light and sharp with an excellent built quality and performance combination. This lens is a great value and tough to beat for a full day's photo shoot without a tripod. When I want to go even lighter than the EF 400mm f/4 DO IS and the light is good, this is the lens I reach for. It also performs well with the 1.4X and 2.0X extenders. When using this lens with the EOS-1D bodies, AF is achieved with the 1.4X but MF is required with the 2.0X extender. A Series II version of this lens with the latest coatings and a 4 stop IS system has been talked about for years and may come about eventually. Canon EF 200-400mm f/4L IS - My ideal lens combo for wildlife photography is the EF 70-200mm f/2.8L IS II and the EF 200-400mm f/4L IS with the built in 1.4X extender. This way I can travel 'light' and still have the highest quality glass covering a wide range of focal lengths. Canon finally released this lens for sale on May 14, 2013. Click here to read my review of this revolutionary lens. I have taken delivery on this lens and have taken it on many vigorous wildlife photo shoots. Canon EF 500mm f/4L IS II - One of my favorite Super telephoto lens in Canon's lineup when I use a tripod. I have the Series II version of this lens and together with EF 200-400mm f/4L IS 1.4X and EF 400mm f/4 DO IS, form the backbone of my Super Telephoto lineup. The EF 500mm is one of Canon's sharpest and a great wildlife lens. When I use a full sized tripod, this lens is my choice. Sadly, the Series I lens has been discontinued and replaced by the Series II version. The new lens reduces the weight by 1 1/2 pound and comes with improved optics but at a much higher price of $10,499. If you already have the Series I lens, I am not recommending an upgrade unless weight reduction is a priority or money is no concern. Personally, I find the marginal improvement to be a bad value but if one is looking for a Super telephoto lens to buy, this is an excellent choice or try and purchase a lightly used Series I lens and save. I am not a big fan of the really heavy Super telephoto prime lenses like the EF 800mm f/5.6L, EF 600mm f/4L and EF 400mm f/2.8L, Series I and II. The incremental reach I can get out of them is offset by their weight and mobility. Occasionally, when I have the need to use one of these lenses, I find them to be an excellent choice for wildlife that are next to impossible to approach closer or too dark to photograph. You can read my post on the best Canon DSLR cameras as well and visit my website MichaelDanielHo.com and see many travel, landscape and wildlife photos taken with all the above lenses.